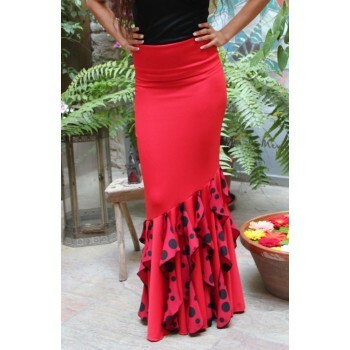 Black flamenco dance skirt with five ruffles and opening. Black skirt gushes, fajin high and opening inferior to knee and five ruffles. Sizes: XS, P, M, G.